Scotch Tape Mayhem is a young five-piece band made up of quirky sixteen-year-olds. It was formed in July 2009, by aspiring musicians who came together from different bands and different backgrounds with individual strengths and individual elements. Scotch Tape Mayhem have thus far composed praised originals, like ‘Stars For Eyes’, ‘Through An Aperture’ and ‘Sixth Avenue, which root from the riffs of heavy metal, the soothing melody of pop rock, the grooves and beats of punk, the mellifluous vocals originating from acoustic sets and last, but yet the most important, the aggression from our passion. The individual members of the band are heavily influenced by various bands of very different genre, ranging from Nevershoutnever (pop), Paramore (pop punk), to Blink 182 (punk), and Bullet For My Valentine (metal). By combining these influences, Scotch Tape Mayhem sets a goal of standing out from the rest, with our own distinct sound. 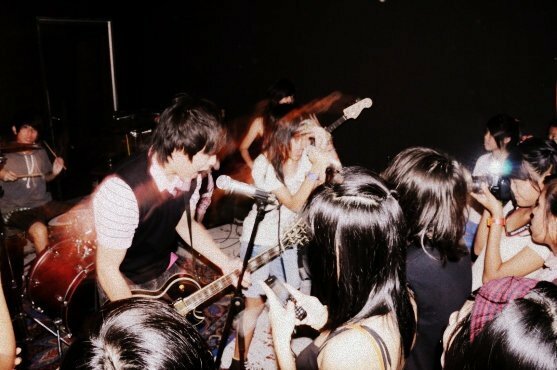 We aim to set new heights and standards, not just for ourselves, but for local bands in Singapore as a whole. Check us out at these links! Add us up at Myspace! Subscribe to us at Youtube!